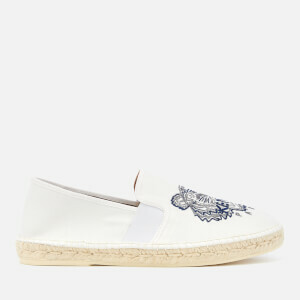 Men's navy canvas espadrilles from Parisian fashion house, KENZO. 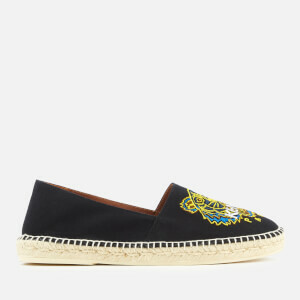 Crafted with durable canvas uppers and a woven jute midsole, the slip-on shoes are designed with KENZO’s signature tiger head logo embroidery on the vamp. Complete with stitched detail above the midsole and a slim rubber outsole. Upper: Cotton. 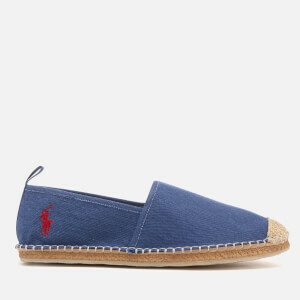 Midsole: Jute. Sole: Rubber.